Wild islets scattered between the two archipelagos alternate with the larger islands. Interesting to visit both the Dodecanese islands and the Cyclades to compare their caracteristics. 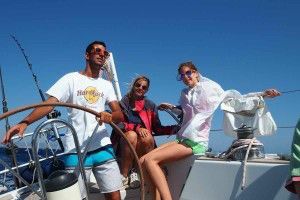 This is and ideal itinerary for those who love sailing and sail practice. The wind here is constant and allows us to sail very nicely . 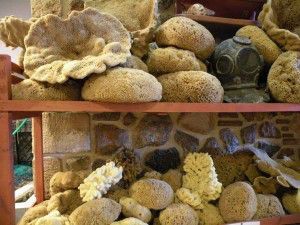 It’s very exciting the discovery of an island coming from the sea!! The cruise can be weekly or 10-11 days long to allow you to enjoy this wonderful itinerary with more time available to spend to each ancorage. Welcome on board of Penne Bianche! 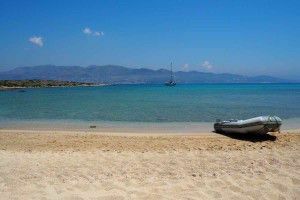 Boarding is planned around at 18.00 in Kos where your fantastic saling holiday begins, ideal to sailing enthusiastic and who likes little islands with no crowds. We’ll offer you a welcome cocktail, you’ll meet the crew who will show you the boat. The supplies will be already stored on board and you’ll be able to relax completely. Once set the luggage we’ll have dinner ashore. 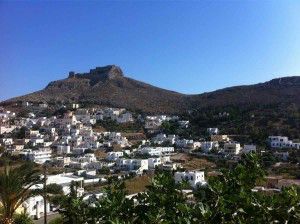 b>Leros is a rich islands of many tiny hills and deep gulfs, picturesque valleys, jagged coasts and a Franco-bizantine fort overlooking the main town. Anchorage in a lovely cove for lunch and a swim. 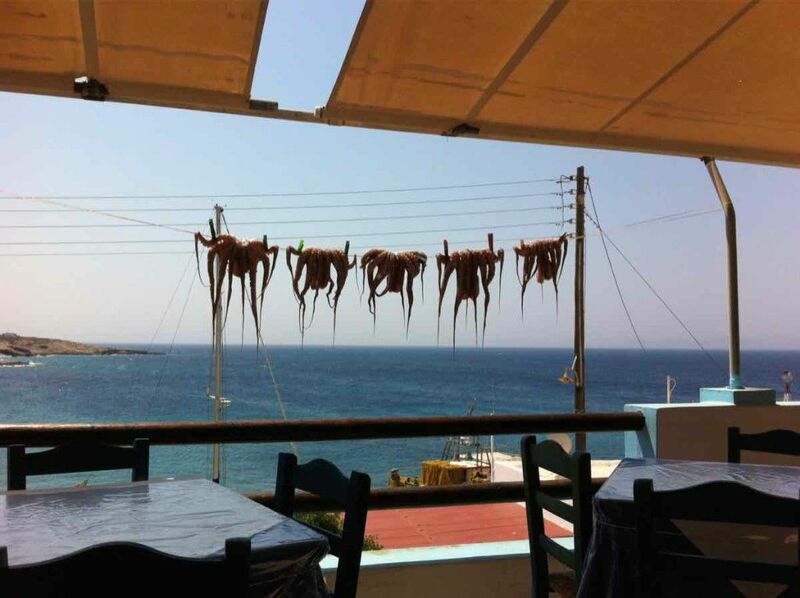 We’ll move to Lakki in the afternoon to visit the island by motor-cycle. 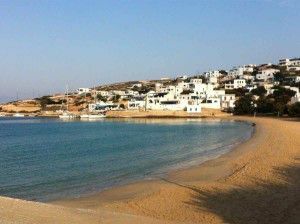 Lakki is the biggest and safest port in the whole Dodecanese. There are no high mountains there, although the landscape is mainly green; the castle, probably built on the site of an ancient acropolis, is definitely worth a visit. The ancient Byzantine castle has later been extended and fortified by the Knights of the Order of Saint John. Inside, we can visit the church with its amazing frescoes and the legendary sacred image of the Panaghia. The view is astonishing, as you can see the bays of both of the east and west coast. 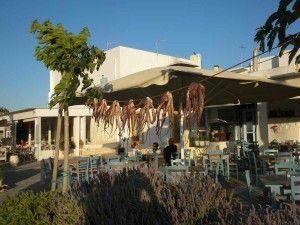 A road will lead us down to Aghia Marina, second port of the island, with many typical restaurants. Departure after breakfast towards Levitha (18 miles), little rocky island inhabited by a single family of fishermen/shepherds. Anchorage in an inlet, spending time swimming and, in the evening, visiting the only tavern on the top of the hill, to have dinner. Wild nature with no artificial light. 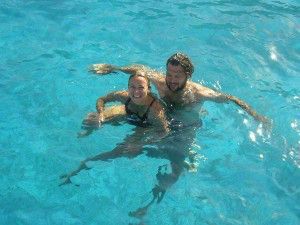 We set sail to cross the strech of sea between the two archipelagos and arrive to the Little Cyclades. The first one of the group is Donousa, far away from the touristic routes. This is a place known for its beaches and quiet moorings. Its a pretty little village in a natural setting between white sand beaches and transparent water. Dinner on board with a gourmet cuisine homemade pasta and fish!! 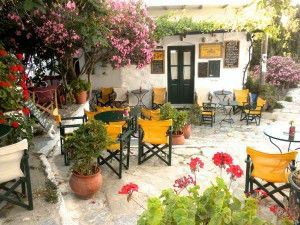 After a swim at dawn we’ll have a rich breakfast on board and then sail to Amorgos. Lunch on board, not far from a little church nearby the water. Short sail to reach the mooring at Katapola. 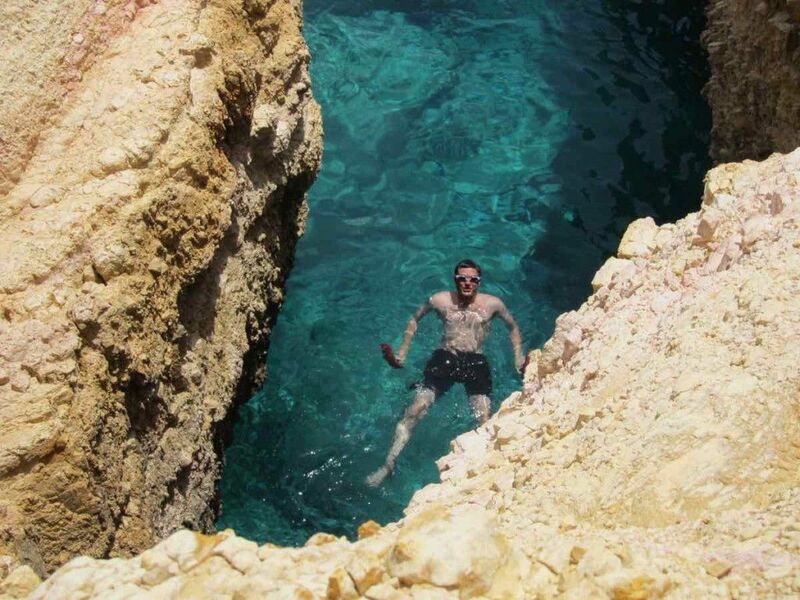 No-one should miss a tour of the island, especially a visit to the famous monastery of the Panaghia Chozoviotissa, completely built into the living rock, and the Chora, that rises all around a Venetian castle, with lime painted houses, little churches and a museum. 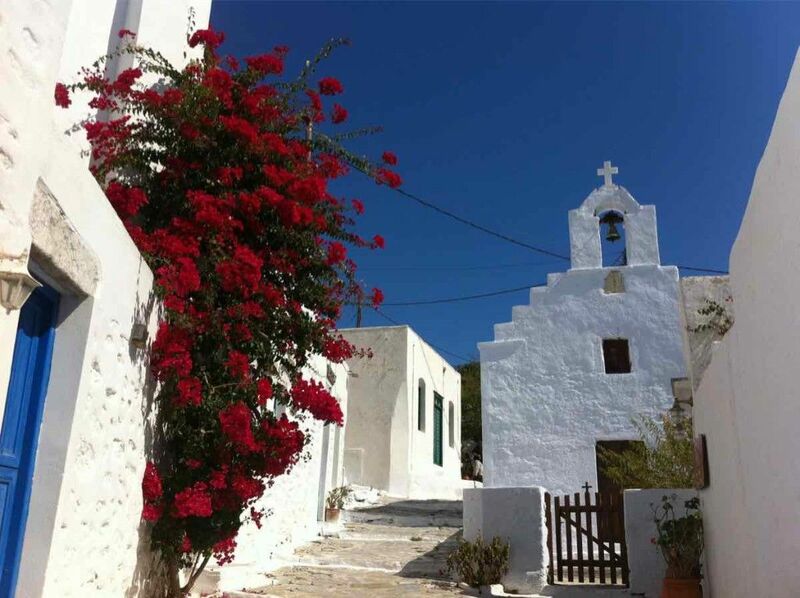 Also the northern part of the island, the picturesque Egiali, can be reached on foot, for a walk through its three snow white villages and its sandy beaches. On September and October 2016, when the sun isn’t so hot, the island offers the chance for many walking tours along paths with wonderful panoramic views. 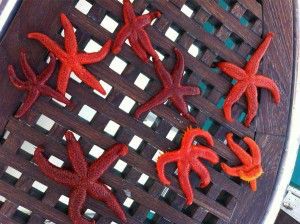 The crew offers a great service to their pampered guests and will be happy to guide you for the tour of the island. Sailing toward Schinousa, after stopping at the uninhabited island of Antikeros, wild and with clear waters. One of the most spectacular anchorages of this sailing cruise on Cyclades. 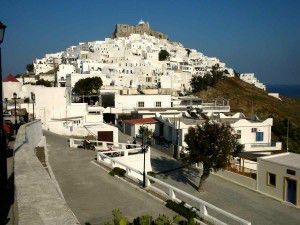 Visit to the small Chora with shore excursion. Mediterranean dishes but also typical of the place are prepared by your skipper, a true gourmet cuisine. 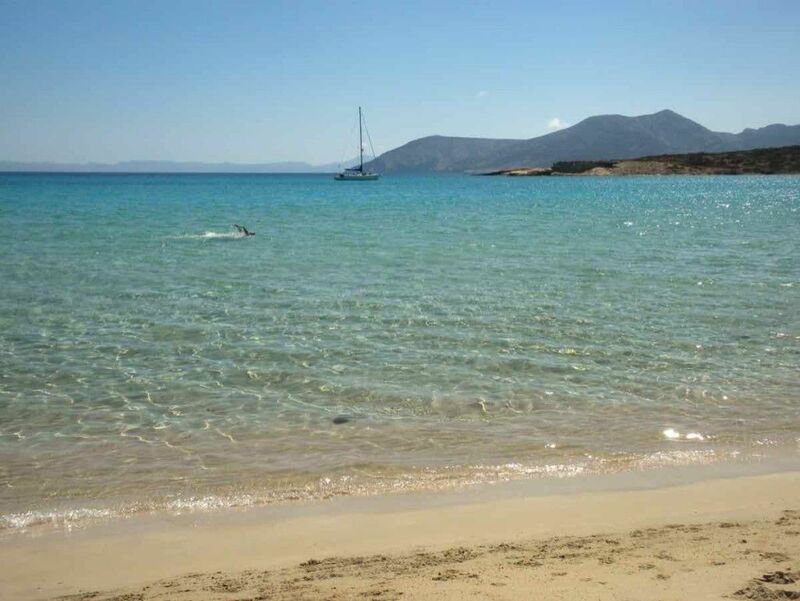 Sail back toward the island of Paros (20 miles). 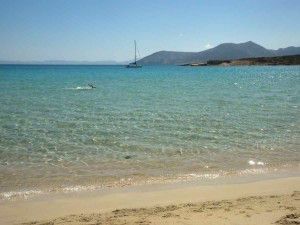 Stop for a break at the three little island of Pantieronis between Paros and Antiparos with crystal clear waters and white sandy beaches. In the afternoon we sail back to Paroikia and we’ll have dinner ashore. 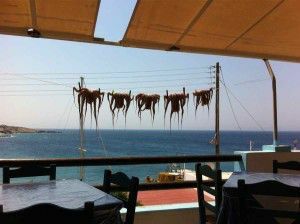 Ending of your Dodecanese and Cyclades sailing holiday and landing at 08.00. For this sailing cruise I recommend a term of 10-11 days, an itinerary not to be missed! !